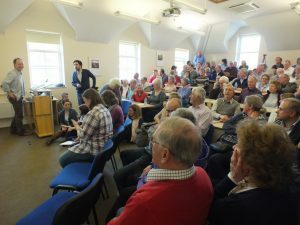 University College Isle of Man‘s History & Heritage Public Lecture Series aims to showcase new research in history and heritage, on the Isle of Man and further afield. To keep up-to-date with the latest news, visit our Facebook page, or join our mailing list by emailing Dr Catriona Mackie. All are welcome to attend. Admission is free and no booking is required. All of our lectures take place on Wednesday evenings from 6pm to 7pm in the Lecture Theatre at The Nunnery. Click on the lecture titles for further information. The Manx Constitution: a constitutional anomaly?